>> Do Eyelashes Grow Longer? You want longer, fuller lashes. 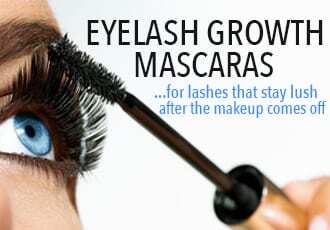 But before you begin your research on how to get your eyelashes to grow – you first want to know if it’s doable. Do eyelashes grow longer? And is it possible to extend your lashes beyond their current length? The answer isn’t as clear cut as we’d like. Let’s explore, shall we? You see, eyelashes are essentially just hair. They grow the same way that all the hair on your body grows, going through three phases in their life cycle. They begin in the anagen phase, during which they actively grow for around 30 to 45 days. Then your lashes enter the catagen phase, which is the transition phase lasting for around 2 to 3 weeks. Afterwards, they enter the telogen phase, during which they complete their cycle and fall off naturally. But unlike the hair on your head, which can grow almost endlessly – lashes have a limit which differs from person to person. That’s the bad news: your eyelashes have a natural limit. There are several ways you can make your eyelashes longer and thicker than they currently are. Let’s explore your options, shall we? As you know by now, eyelashes are essentially hair. And like all hair, they’re influenced by factors like nutrients and nourishment. This is really good news if you’re looking to make your eyelashes longer naturally. The same way that your hair gets dry, brittle and thin when you’re dehydrated or on a restrictive diet – your lashes also get dry, brittle and thin without proper nutrition. This can make your lashes look a lot less beautiful than nature intended since weak, fragile lashes break and fall off more easily and rarely get the opportunity to grow to their full length. So the first thing you need to do to make your lashes grow longer is to give them the nutrition they need to grow to their full, healthy length. How do you do this? It’s as simple as eating the best foods for eyelash growth. Giving your body the nutrients it needs to build strong, healthy hair is the first step to growing longer, thicker lashes. If you don’t have time to fix yourself proper lash-healthy meals, then take the best vitamins for lash growth on a daily basis. You’ll find your lashes and your hair growing longer, thicker and healthier within a few weeks. Another way to help your lashes grow to their full length and thickness is to condition them regularly. Remember how eyelashes are just tiny hairs? Well, you don’t skip conditioner or hair treatments for the hair on your head so why would you skimp on this for your eyelashes? The best eyelash conditioners are formulated with deeply nourishing ingredients like vitamins and antioxidants, amino acids, peptides and extracts which help to strengthen and fortify lashes against thinning and breakage. The result? Your lashes grow longer, thicker and healthier and survive through their normal life cycle which gives you a fuller lash line. As you can see, lash conditioners won’t grow your lashes to Snuffleupagus proportions, but they do make a significant difference! Check out the best eyelash conditioners here! …Or do some eyelash growth DIY and learn to make homemade eyelash growth serums! The above methods definitely help to grow eyelashes. 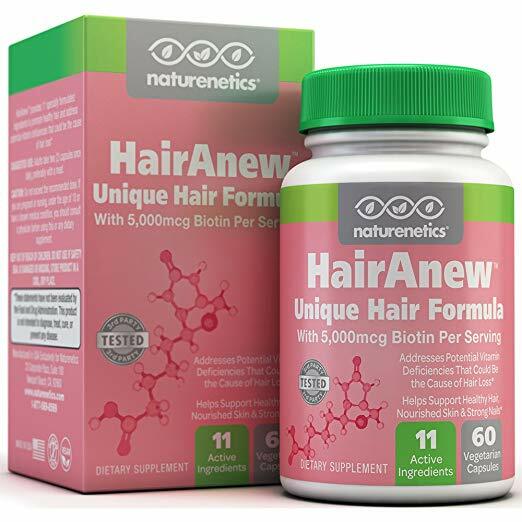 Diet and nutrition form the basis for all healthy hair growth. And lash conditioners definitely do their part to lengthen and thicken your lashes. 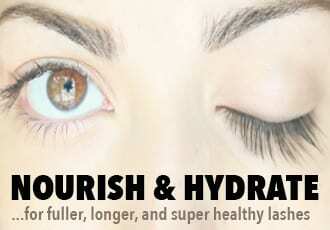 But if you’re looking for extreme length and much greater thickness – nothing works better than eyelash growth serums. 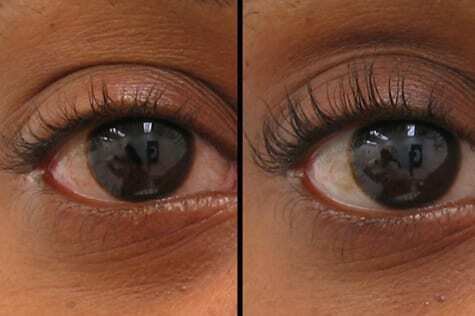 As you can see, the results are drastic – lash serums dramatically increase your lashes from “Meh, barely there” to “Whoa! Where’d you get your falsies done? 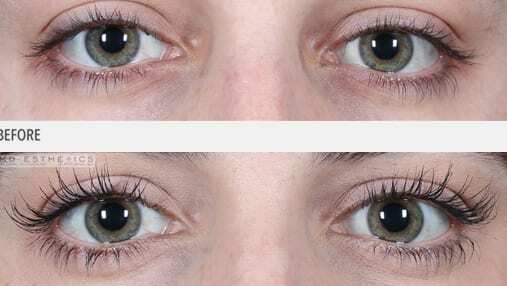 The best lash growth serums are able to achieve this effect by extending both the growth phase of your lashes so they grow to longer lengths as well as increasing the number of lashes that sprout. The result? Longer lashes…and more of them. 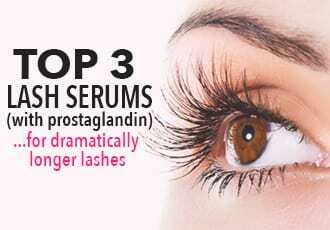 Check out the best eyelash growth serums here!